It's been known and become extremely usual how Korean celebrities tend to hide their relationship while they date fellow actors or idols. Since such things could lead to scandals in the Korean entertainment industry, but in the end, most celebrity couples managed to keep their love life under wraps for years despite the rumors and speculations from their fans. And sometimes, they confirmed the relationship through marriage! Some celebrities would host a press conference on their wedding day to share the joyful news, yet some others prefer to release a series of pre-wedding pictures or a hint of their love celebration through their agency. All was done to get their fans' blessings. 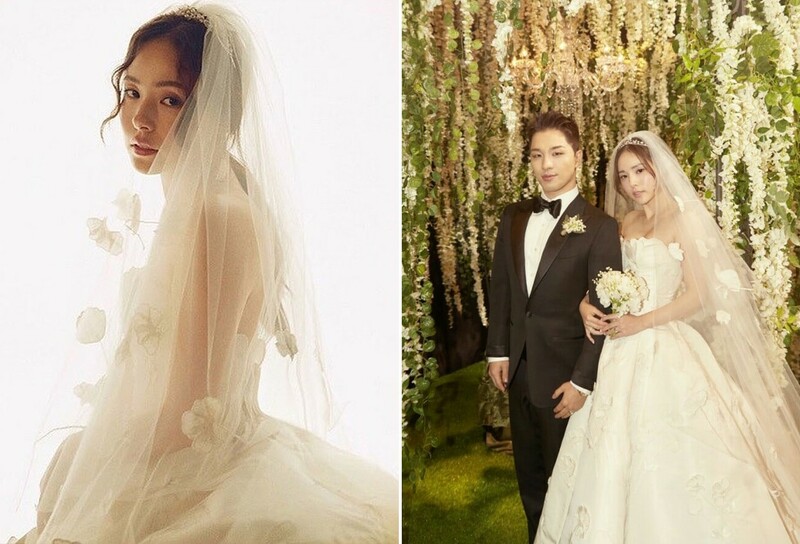 Without further ado, just slide through the gallery below and enjoy our favorite picks of Korean celebrity weddings! The relationship between Korean actor Jo Jung Suk and singer Gummy, has only been known to surface since 2015, despite that they have dated since 2013. The pair finally held a private wedding ceremony in fall and this prewedding picture in Jeju Island was released on their wedding day. Ever wonder what would they wear for their once-in-a-lifetime moment? 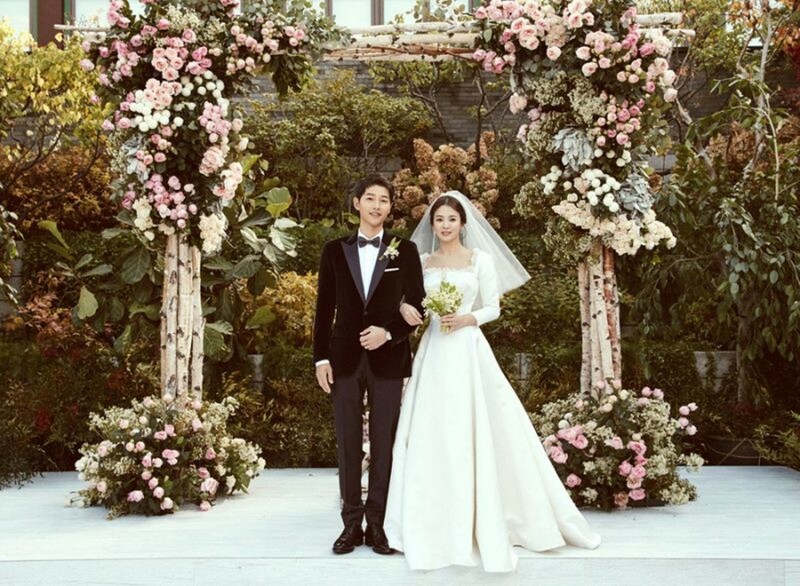 The opulent wedding of this K-pop couple couldn’t get any better as both stars often expressed their love publicly. Taeyang didn’t hesitate to recall Min Hyo Rin as his muse during the press conference for his album’s release. Thus, their wedding day was basically a celebration of love that was filled with laughter and romantic gestures! 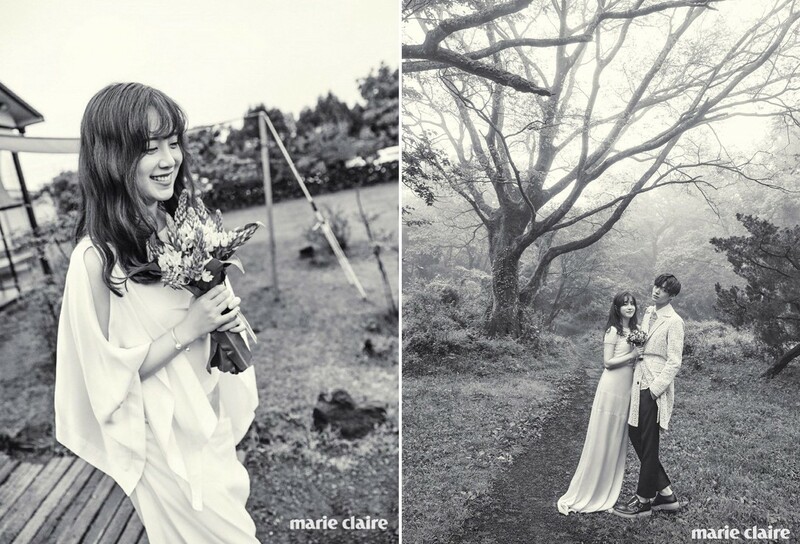 Another fellow celebrity couple that revealed their wedding through prewedding pictures was Ahn Jae Hyun and Go Hye Sun. They tied the knot in 2016 and only held a small wedding celebration. To make the wedding day more special, the couple even paid a visit to the children hospital with the budget they would’ve spent on a ceremony and honeymoon. Joo Sang Wook and Cha Ye Ryun met on the set, and the pair has been publicly dating ever since the series ended. 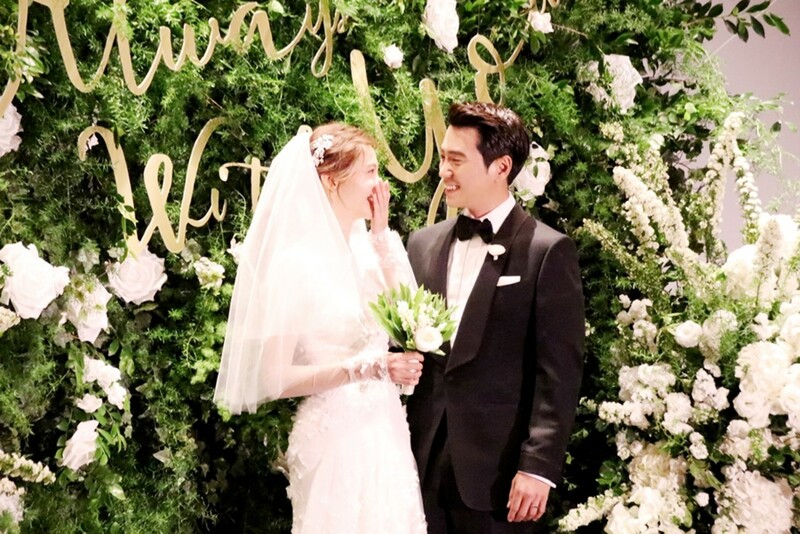 On their wedding day, Joo Sang Wook was seen charming as always in his tuxedo, meanwhile the beautiful bride wore a long-sleeves wedding dress with floral appliqué. 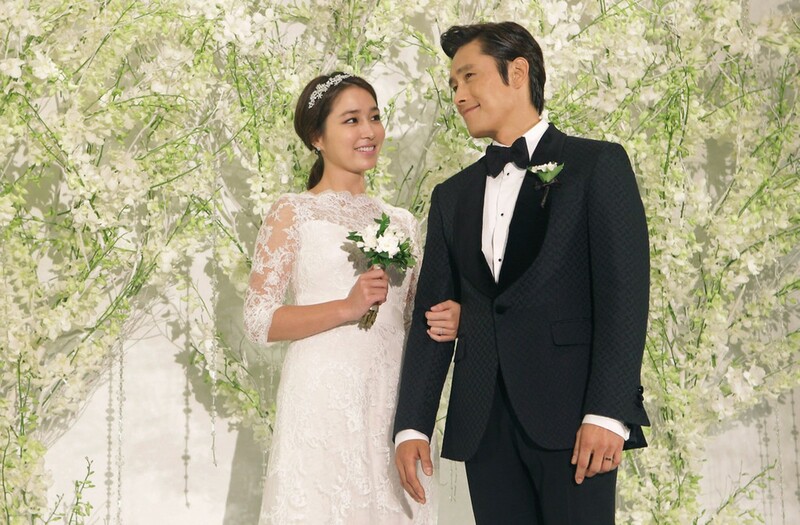 What’s not to love about this Korean A-listed celebrity couple's wedding? It was very intimate and filled with personal details. 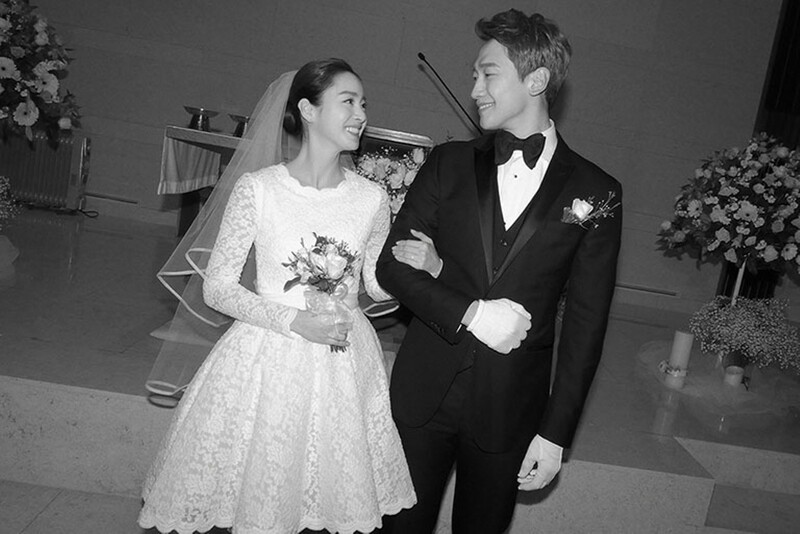 After dating for five years, Rain and Kim Tae Hee got married in a church. Who else would agree that Kim definitely rocked the knee-length wedding dress? She later revealed that it was her stylist that designed the wedding gown. 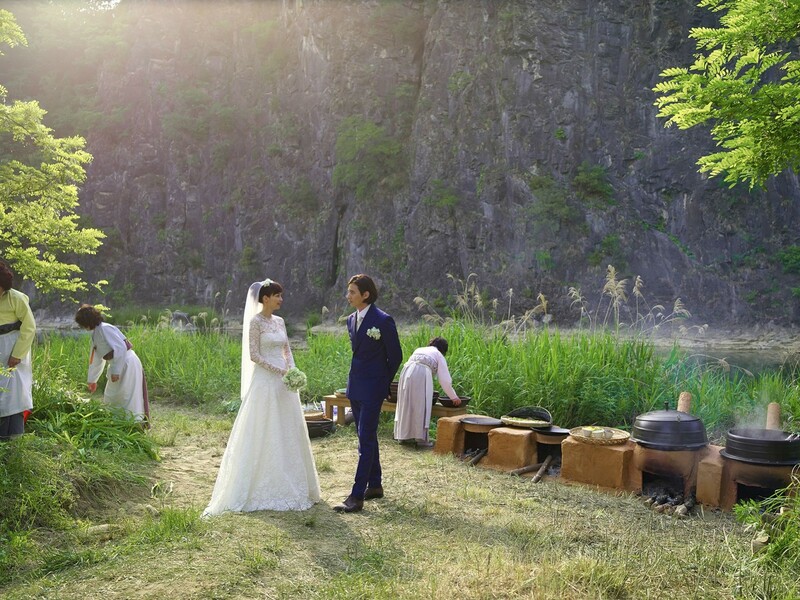 Apparently, hiding the precise location of a wedding celebration wasn’t easy at all for top stars like Won Bin and Lee Na Young. The supposed-to-be discreet wedding in a countryside broke out through the Internet by paparazzi and now, their wedding location has turned into a tourist spot. 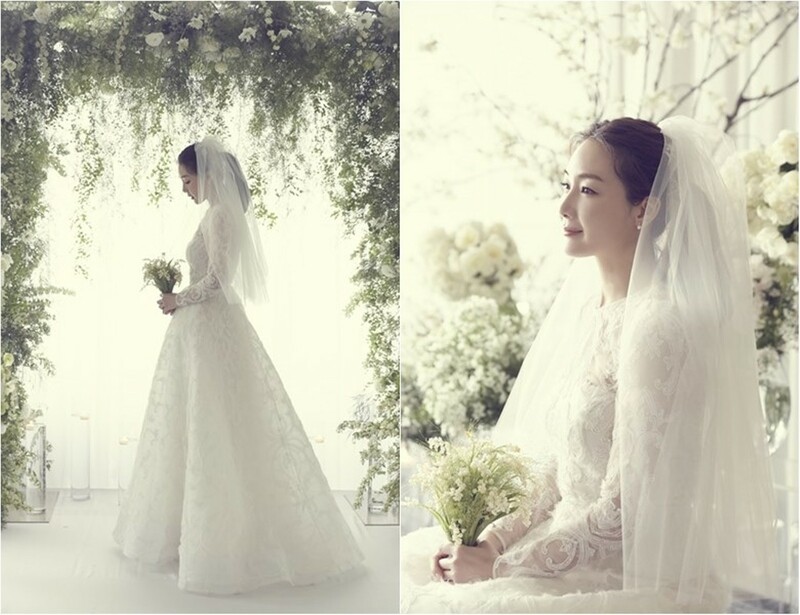 K-drama star Choi Ji Woo married in a quiet wedding, and it was done in secret because her husband isn’t a public figure. Though her fans might not get a peek of her husband, Choi shared a handwritten letter along with some pictures of herself against the wedding arch from the wedding day itself. Ever since the K-drama actors, Lee Byung Hun & Lee Min Jun announced their marriage, many fans were raving over the gorgeous couple and wondered how their future kids would look like. Two years later, the two had their first child and now, the 3-year-old boy made his first appearance publicly in September during an event with their parents. Last but not least, Song-Song couple wedding was one that shouldn’t be missed as the couple was shipped by all their fans. For her special day, Maria Grazia Chiuri of Dior Haute Couture personally design Song’s square-neck wedding dress. Her best friend gifted the wedding bouquet that was composed of lily of the valley that signified hope, love and kindness. Could you spot your favorite Korean celebrity couples? Let us know which wedding was the most special to you!